Jason and Mandi Gray have never introduced their two children to video games. They want to make sure the kids get outside and enjoy nature. And they want to make sure we do too. 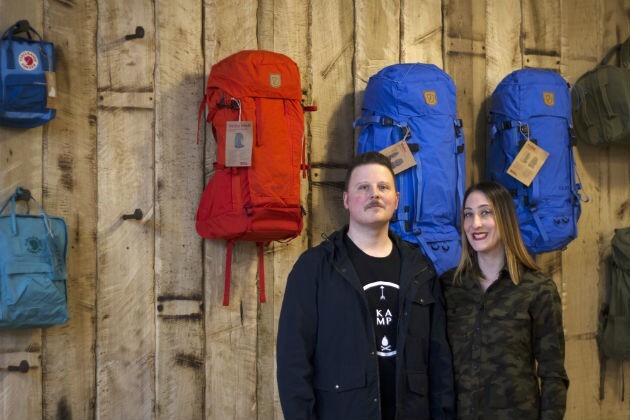 Today, the couple is opening the doors to Kamp (3405 South Jefferson Ave.), a shop right on the cusp of Cherokee Street that aims to encourage adventure with outdoor activities such as hiking and camping, as well as education about the topic. 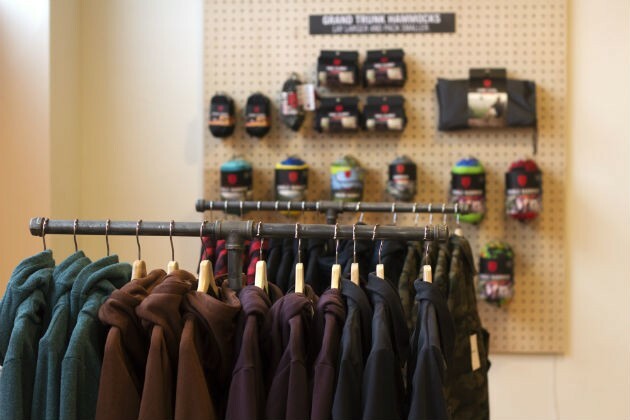 The store will not only sell hiking and camping products, but it will also host lectures and classes ranging from nature photography to kids yoga. "This is something we have a mutual interest in," Jason Gray says. "We love being outside, hiking and camping as often as possible." Mandi, 39, and Jason, 38, got their start in the arts. Mandi is an interior designer and Jason is a photographer. Though they both have side hustles in the freelance world, they had a vision for their business. "We tossed [ideas] around and kept thinking 'how can we change?' — not only our financial future, our personal future, but everything," she says. "This past month is the most time we've spent together in a long time." The two avid hikers wanted to bring adventure to St. Louis in more ways than one. 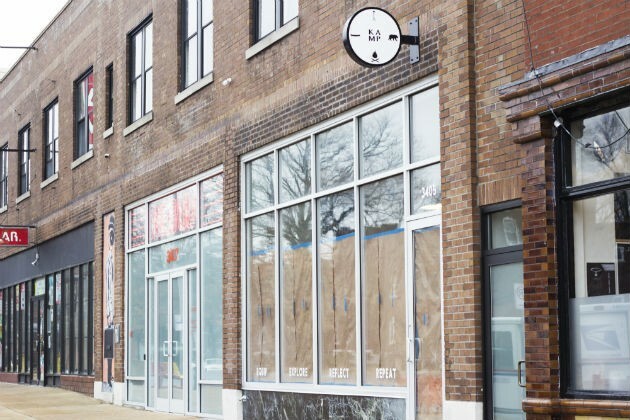 By choosing a location just off Cherokee, they wanted to bring people into the city to experience the culture and vibe of the place, not just GPS their way to the Cardinals game and call it a day. A part of this goal, Mandi says, is to diversify the outdoor industry. "A lot of times people just think this is a white industry, and obviously we are white people, but diversifying the outdoors and the socioeconomic status of the outdoors is super important to me," Mandi says. "Bringing people of all races, ethnicities and backgrounds together and just getting outside and having fun." And that's exactly what they plan on doing. They want to incorporate hiking and camping groups into their programming and perhaps, in the future, getting professionals on board to help train in survival skills. But for now, they are hooking us up with things like fold-able Kayaks and botany lectures. In addition, they will have free "Kampfire" stories every other Sunday — with someone to read an adventure story and then do some sort of craft or activity with kids from ages five to ten. Jason says these classes are one of the things makes them stand out from other outdoors stores like Patagonia or R.E.I. Also, he says, it's the healthy limitation in their products. Being a small retail store allows them to sell things that retailers like R.E.I. could not, which means switching up the brands they sell and keeping things interesting for customers. 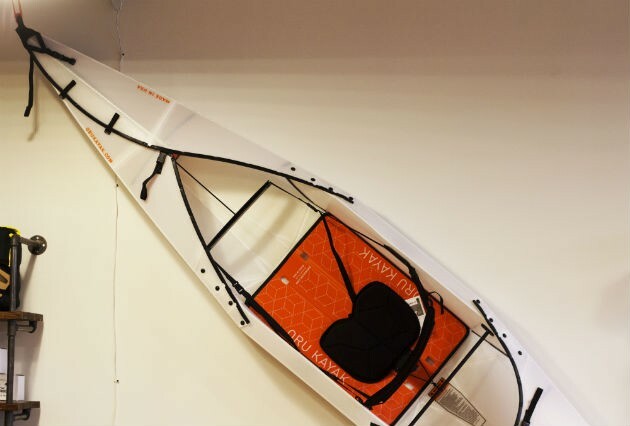 "Instead of finding twelve brands of kayaks, you're going to find one kayak brand that we really like, and it kind of goes that way down the line," Jason says. 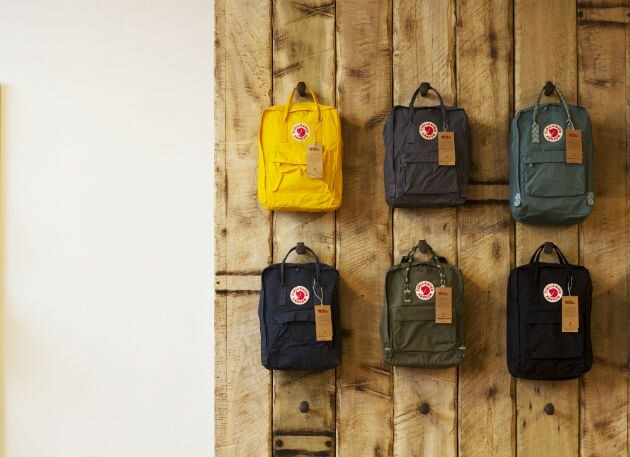 They sell a select amount of apparel, one brand of hammock, and two brands of bags including millennial dream bag the Fjallraven Kanken. They also offer miscellaneous products from water filters to handcrafted adventure-themed jewelry. Kamp will be open Tuesday through Saturday from 11 a.m. to 7 p.m. and on Sunday from 11 a.m. to 5 p.m. Their grand opening is March 7. "Once it's nice outside and you don't have cabin fever from the winter, get outside, play, run around — that's what we did when we were little," Mandi Gray says. "That's kind of the point of this."